Media intake has undergone a huge shift from cable and theaters to streaming services in recent years. When people have the option of unlimited access to films and TV for $10.99 per month, they’re less inclined to purchase a single movie ticket or cable access for almost double the cost. Thus, home entertainment has become the primary source of media in the U.S. household — but the obvious benefits of streaming may be short-lived. As more streaming services begin flooding the market, each must distinguish itself from competitors to remain relevant. Netflix, for instance, has managed to attract customers through its variety of original content, including the popular “Stranger Things” and “Orange is the New Black.” Meanwhile, the new licensing agreement between Hulu and 20th Century Fox has handed over exclusive licensing rights to Hulu, so shows under 20th Century Fox will air exclusively on Hulu starting this December. Hulu is also buying licensing contracts and exclusively streaming certain shows like “It’s Always Sunny in Philadelphia.” Disney, too, is starting a streaming service of its own, with many of the company’s iconic movies and shows available only on this service. Deals like this have initiated a battle of streaming services, just like the big guns of live television. While Netflix leads the pack, other streaming services like YouTube Red, Amazon Prime, Hulu and Sling are catching up. With each creating its own exclusive, original content and establishing a unique foothold in the industry, will subscribing to all of them be necessary? The only possibility of full access to every show you like seems to be subscribing to all streaming services because of these exclusive licensing contracts. If you want to watch original content like “Haters Back Off” with YouTube star Miranda Sings, it’s exclusive to Netflix. If you prefer nostalgic comedies like 20th Century Fox’s “Family Guy,” Hulu will be the only place to go. Various services are rebooting shows like “One Day at Time,” “Prison Break,” “Lemony Snicket’s A Series of Unfortunate Events” and paying tons to create more original content. To keep up with all of one’s favorites, old and new, multiple subscriptions will be unfortunately necessary. 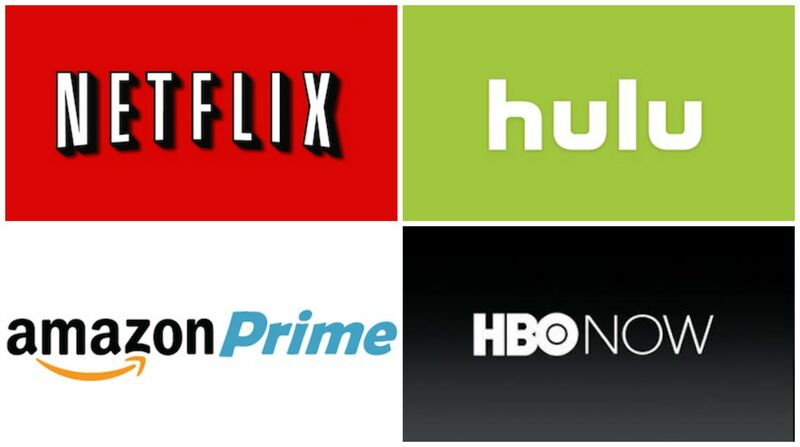 The competition is going to surface with every streaming service, making things exclusive and adding premiums or bundles like Hulu and Spotify for a cheaper subscription. These services are going to have to compete in terms of creating bundles that appeal to their audience since every streaming service is catching up to Netflix, which is creating original content. The primary benefit of Netflix — the convenience of having most of one’s favorite shows and movies all in one place — is waning. Paying a single price for cable looks more appealing when you consider the future implications of the streaming competition: paying to keep up with your favorite shows and films on not just one streaming service, but five or six. However, there are other benefits of streaming, like no stress of missing a show from live television, or spending even more to purchase a movie ticket. But whether the pros of the streaming industry will outweigh the cons, only time will tell.